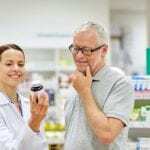 A move to emphasize the clinical responsibilities of a pharmacist and a greater demand for medications and other healthcare products improve the employment outlook for pharmacy technicians. Pharmacy technicians work in hospital and community pharmacies, long-term care facilities, mail-order pharmacies, and home health care agencies to dispense medications. As pharmacists take on a more specific role in the pharmacy, the role and responsibilities of pharmacy technicians will expand, allowing them to perform many of the duties of a pharmacist. However, a pharmacist must check the technician’s work before medication is dispensed to customers. Pharmacy technician schools in Maryland prepare students for the role and registration with the Maryland Board of Pharmacy. Although the Board does not mandate certification, it is fast becoming a requirement for employment. Employers expect technicians to be competent, well trained and certified to reduce errors and improve efficiency. The pharmacy technician program prepares students to sit any of the two national certification exams (PTCE) or (ExCPT). Graduates have the knowledge and competencies to enter the field as an entry-level pharmacy technician. The course covers medical terminology, defining drugs by generic or brand names, I.V. flows, dosage calculations, dose conversions, drug compounding, and billing and reimbursement. Applicants must be 18 years or older and provide proof of ID and social security. Students must obtain placement in EN52 and MA82. Classes meet weekly on Wednesdays from 5:30 pm to 9:00 pm for 6 sessions. Tuition for in-county students is $349. Fees are an additional $963. The pharmacy technician program at Montgomery College is a 72-hour program that prepares students to dispense medication under the supervision of a pharmacy technician. They are also prepared to take eh PTCB exam. Course content includes pharmacy medical terminology, pharmacology, generic and brand name drugs, drug compounding, IV flow rates, inventory control, dose conversions, dispensing prescriptions, drug compounding, dosage calculations and billing and reimbursement. Classes are evening only, meeting from 6 pm to 9 pm for 24 sessions. Tuition for the program is $1,300 plus $650 for fees. Anne Arundel Community College’s Pharmacy Technician program combines classroom and lab instruction and practical training in a real-world setting to help students transition into active practice. The program is accredited by the American Society of Health-System Pharmacists (ASHP) and the Accreditation Council for Pharmacy Education (ACPE). The program also operates with the approval of the Maryland Board of Pharmacy. Students learn effective written and oral communication, how to monitor drug therapy, perform pharmacy functions, maintain patient confidentiality, use pharmacy and medical abbreviations and symbols, and demonstrate ethical conduct in practice. Graduates earn 33 college credits and are eligible to take the National Pharmacy Technician Certification Board Exam. Interest persons must attend an information session and complete all the admission and academic requirements. Upon conditional acceptance, students must satisfactorily complete a criminal background check, a health examination record, and submit an American Heart Association CPR card. A urine drug screen may be required. Tuition for the program is $4,213. Books and supplies cost an additional $1,718. Health Ed Today facilitates at pharmacy technician program to prepare students to enter the pharmacy field and to sit the PTCB exam. Key areas of study include dosage calculations, medical terminology, pharmacy calculations, reading and interpreting prescriptions, identifying drugs by generic and brand names, dispensing prescriptions, inventory control, drug compounding, and billing and reimbursement. Students will learn pharmaceutical terminology, aseptic techniques, routes and formulations, drug regulation and control, basic biopharmaceutics, total parenteral nutrition, pharmacy measures and abbreviations, and drug names and classes. Applicants must be 18 years or older and have a high school diploma or GED to sit the PTCB exam. Allegany College’s pharmacy technician program prepares students for employment upon completion. The curriculum covers dosage calculations, pharmacology terminology, parenteral solution preparation, drug classifications, drug dispensing and homeopathic medicines. CPR and First Aid are also included in the instruction. The program is approved by the Maryland Board of Nursing and is a designated Health Manpower Shortage Program by the MHEC. Apart from training in the classroom, students must complete 18 hours of clinical externship each. The externship covers ten weeks for a total of 180 hours. The program is funded by the state of Maryland – availability may be subject to change each semester.